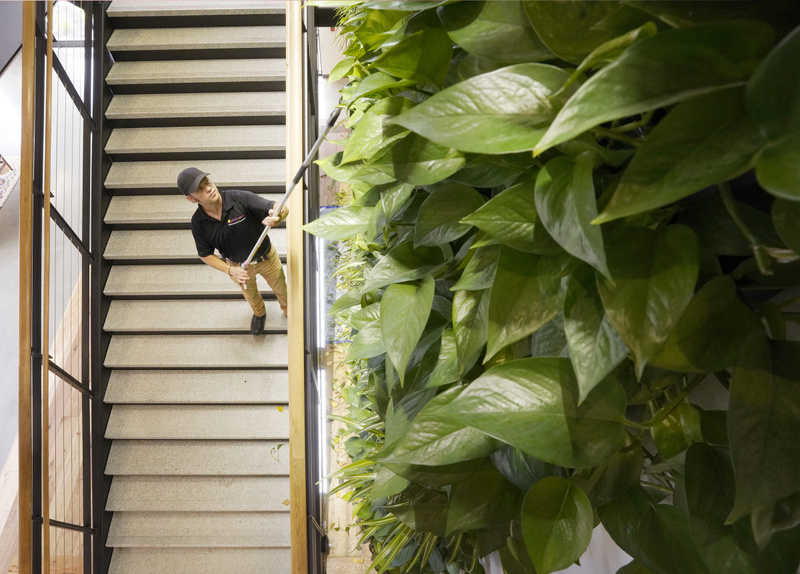 Jeff Ruby-Pinkham prunes plants on a living wall in the Danielle N. Ripich Commons at the University of New England in Biddeford. 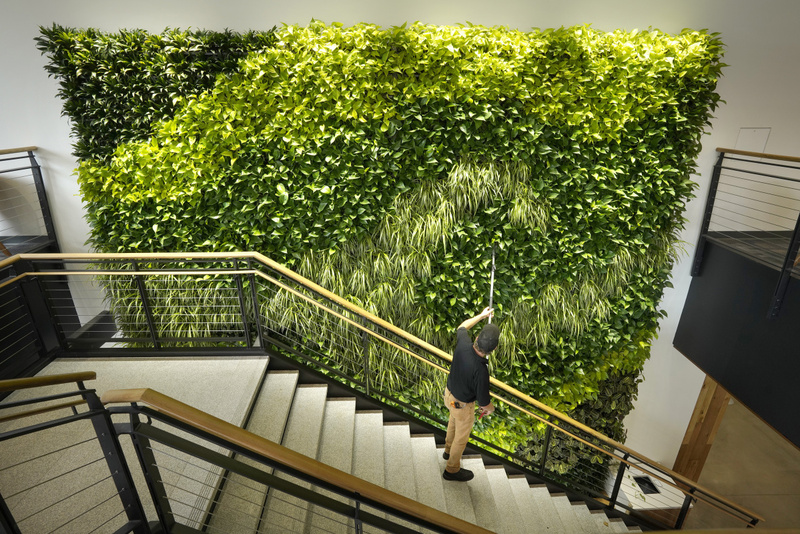 Ruby-Pinkham maintains the living wall designed and installed by Plantwerks, a company based in Massachusetts. 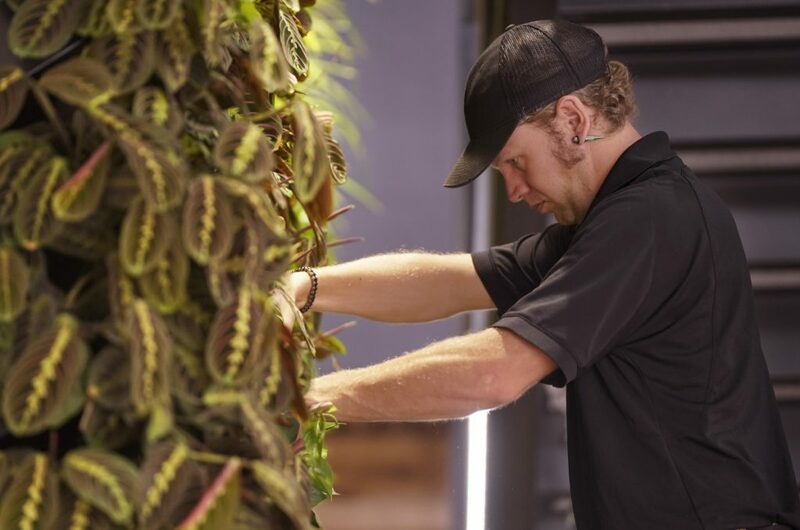 Jeff Ruby-Pinkham prunes plants on a living wall in the Danielle N. Ripich Commons at the University of New England in Biddeford on July 25. Ruby-Pinkham maintains the living wall designed and installed by Plantwerks, a company based in Massachusetts. 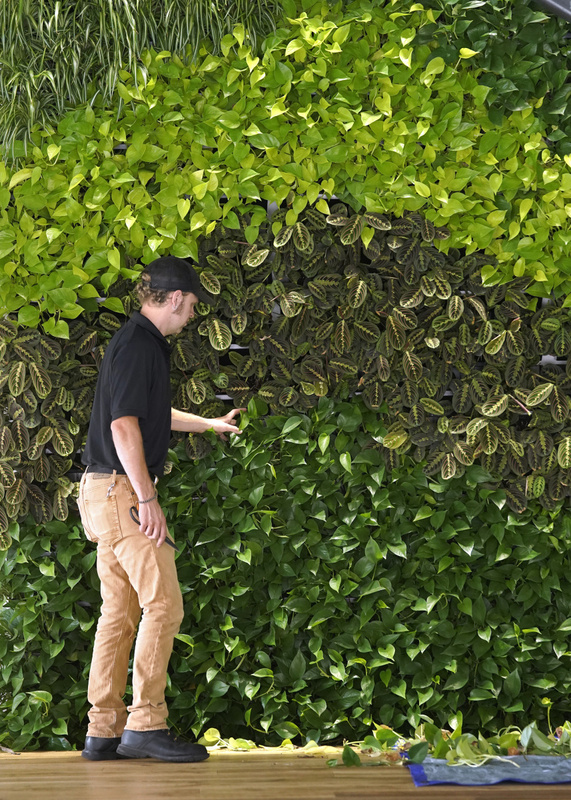 The living wall comprises 960 plants arranged in a wave pattern. 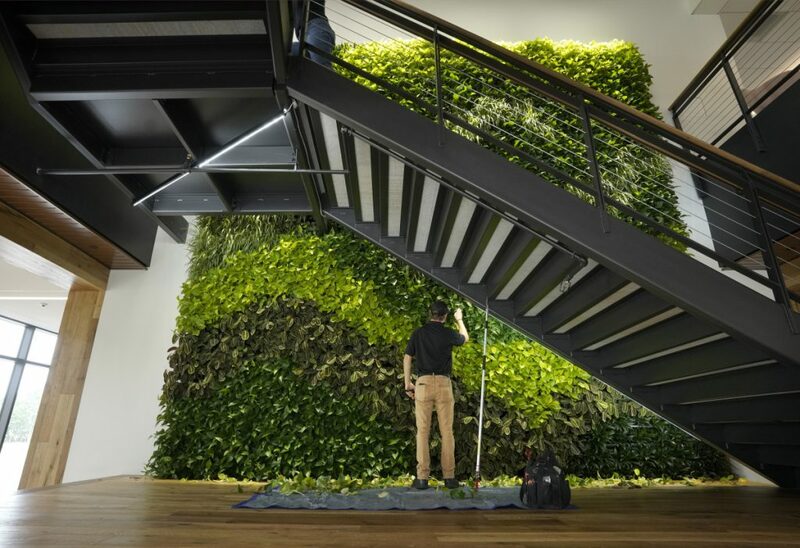 The living wall is comprised of five varieties of plants and is the largest living wall in Maine designed by Plantwerks. 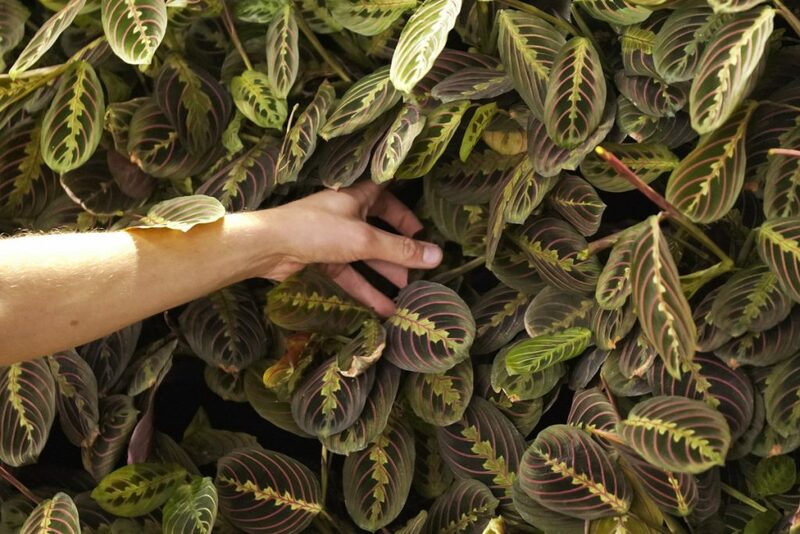 The wall is made up of five varieties of plants. 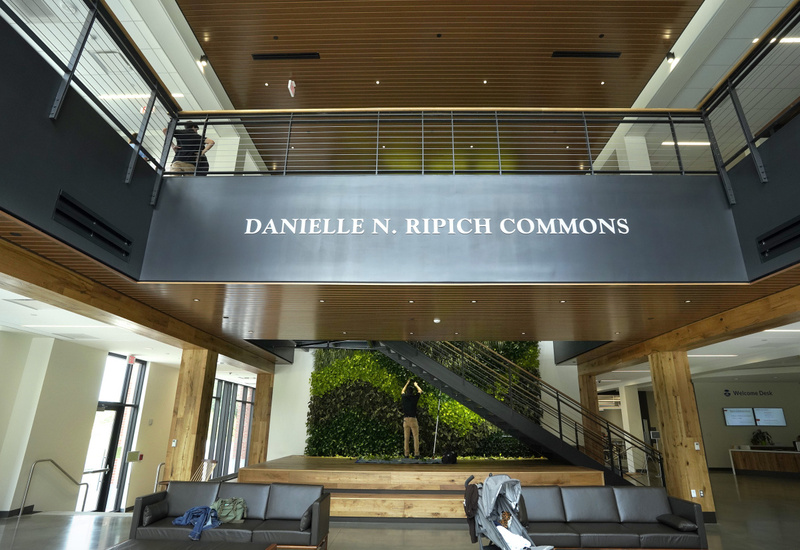 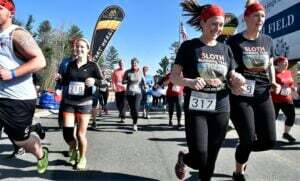 The living wall occupies a space at the Danielle N. Ripich Commons at the University of New England in Biddeford.